create your life the way you want to live it. Learn it. Live it. Love it. You too can Dream Your Life. I have been there, learned it, lived it and loved it. Successful career. Full and fabulous life. Overcoming life’s challenges. Claiming and standing in my full power. The courage to make a move, take a chance, create and seize opportunities. Make a difference. I would like to help you do the same in your own way, with what fits for you and your life – to optimize your life and go for it! I offer life coach sessions to transform limiting beliefs, adapt to and embrace change/fear, work through grief/loss, spiritual growth, work/life balance, women’s issues, general life coaching and more. I also offer dream analysis as part of my life coach and intuitive training, along with shamanic healing and past life regressions. As a Certified Martha Beck Life Coach, I will help you connect with your inner wisdom, courage and passion to get yourself on the path to your dream life. I completed Martha Beck’s ten month intensive Life Coach Training Program in July 2014. It gave me fabulous tools for my life coach tool box to be able to help you create your dream life, in addition to my laser focused intuitive abilities and extensive spiritual studies. Then I honed my skills further through a six week intensive follow up “Deep Dive” training with a Martha Beck Master Coach. 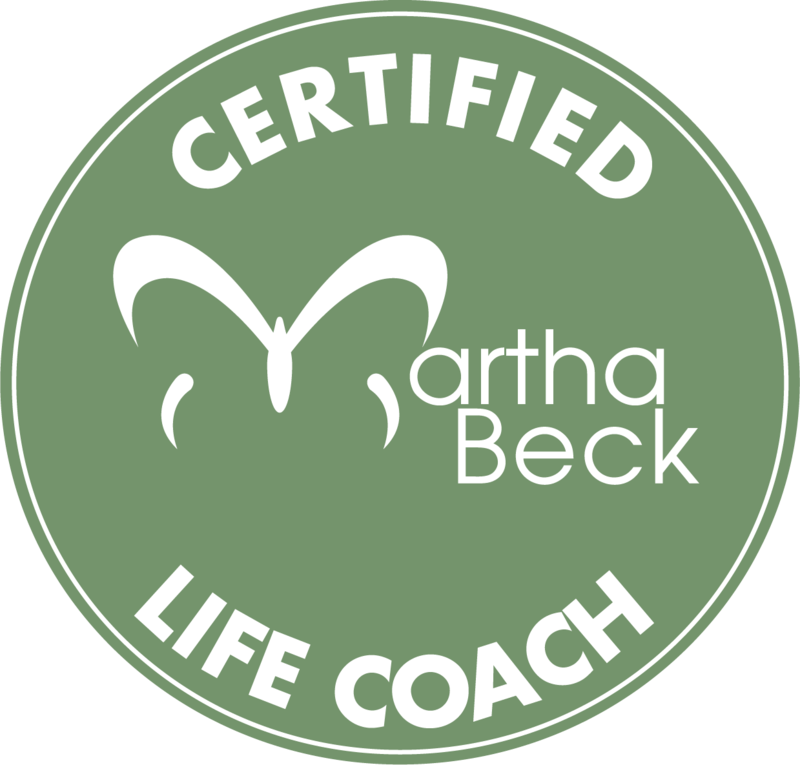 I completed and earned my certification as a Certified Martha Beck Life Coach in Jan. 2015. Ask yourself these questions . . .
* Do you want to bring a greater sense of play into your life? * Does an awesome gig-life balance appeal to you? * Are you not sure what to do with your gig but looking to hit the refresh button? * Does hunting down remnants of limiting beliefs and transforming them into greater success appeal to you? * Would you like to polish your life to shiny and brilliant? Find out how you can dream the life you want to live into being. Schedule one of these empowering sessions by emailing me at ravins52252@mypacks.net. “Dream My Life”…Dream My Life is a one hour session for $125. “Power Up My Life” Package of Six Sessions…Power Up My Life is a package for $600…When purchasing this package, you save $125! This is the best value and also allows us to dive in deep to hunt down and transform those limiting beliefs. As part of the tools I work with from the Martha Beck life coach training, combined with my intuitive abilities, I can lead you through a dream analysis. It takes one hour, the same as a standard life coaching session. It is a powerful metaphor and tool for life. After scheduling a one-hour session ($125 “Dream My Life” session), it begins by you emailing me a write up of your dream, which we will then work through together during our session. It’s easy to schedule a Life Coaching Session . . .
Start off by emailing me at ravins52252@mypacks.net. Payment for individual sessions and packages is in full is via paypal to that email address upon scheduling the first session. All sessions are held via phone appointment. First 30-minute phone session is complimentary to discuss your needs. I look forward to working with you! Now, let’s get started!